Made in small batches, our premium vodka is distilled, gravity-filtered through a custom designed carbon clarifier, and bottled to proof in our distillery with the purest mountain water. This versatile spirit has classic smooth neutral flavors, a creamy mouthfeel, and mild mineral undertones. Bottled at 82 proof, this vodka is perfect for drinking chilled neat, or makes a lively addition when mixed in your favorite cocktails. 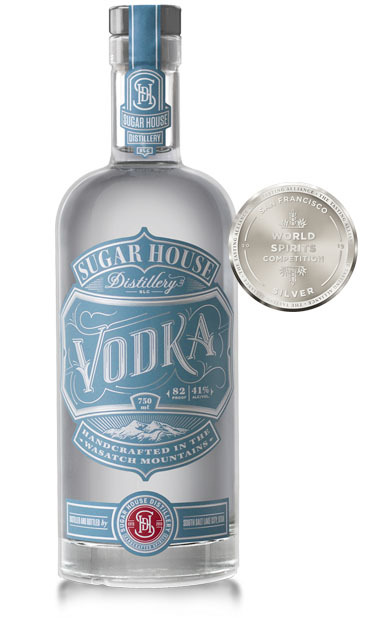 At Sugar House Distillery, we take pride in knowing that the bottle you hold in your hands has been made with care. No additives. No artificial colors or flavors. Finished with a little water and a lot of skill. Come by our distillery so we can show you how it’s done.